Everybody loves performing SEO audits, am I right? Sifting through 200 page websites, scrutinizing each piece of content for proper linking, praying that you won’t have to redirect or canonicalize any pages. It’s a joy and a half alright. Eh, for most of us, it’s not. 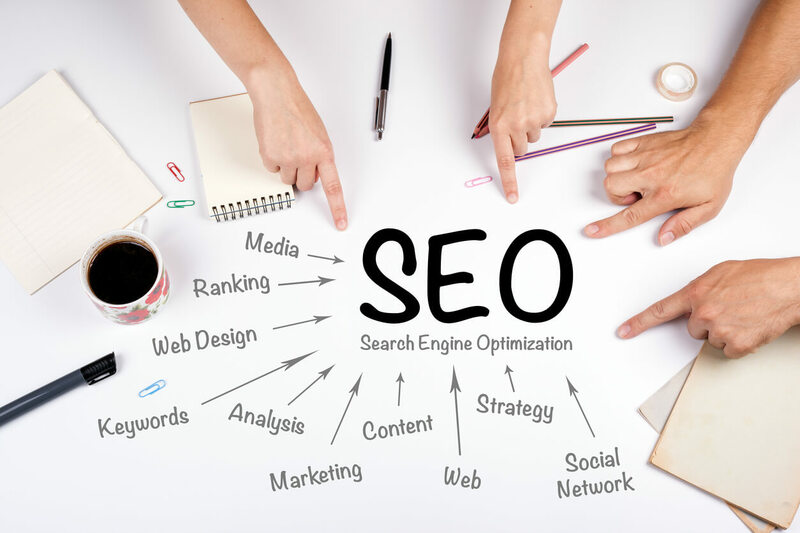 SEO audits can be tedious, time consuming, and overwhelming. When performing one for the first time, a lot of people don’t know where to begin. Thankfully, there’s a system that can give you answers in a relatively short amount of time—under 1 hour to be exact. Here’s the step-by-step process for performing your own SEO audit in just a few minutes’ time. DISCLAIMER: This isn’t the most thorough audit in SEO history. If you have a site with more than 50 pages, do yourself a favor and hire a professional. Actually, either way you’ll probably want to consult a pro. With that out of the way, ready…set…SEO! 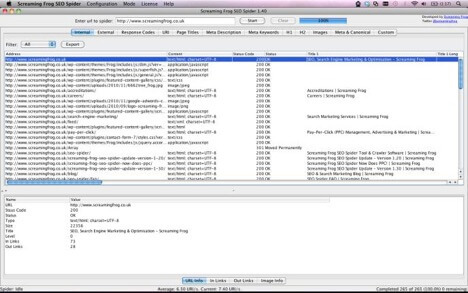 Screaming Frog is offered as a free or a paid website crawling tool, but you can get a lot out of it in the free version. This will simply scan your site for errors in different areas, like 404s (broken links), keyword usage, images, page titles and a whole lot more. It’s a free Chrome extension that you simply can NOT afford to pass up. The Moz toolbar will show you all sorts of useful information about whatever webpage you’re viewing. Things like H1, H2 header tags, meta descriptions, page speed, and your HTTP status is all there. Plus it shows you whether or not you’ve added schema markup to your site. It’s a lightning fast way to identify quick fixes on any page. For now just check the homepage. 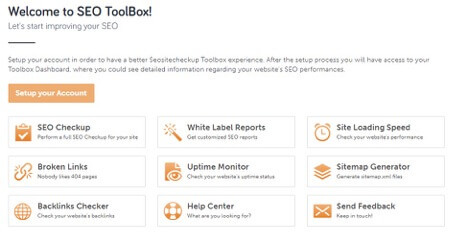 SEO SiteCheckup is pretty phenomenal given the price tag, free. Okay, it’s not technically free. There are plans ranging from $24.95/mo to $79.95/mo… but for the sake of this article, let’s stick with the free version. Don’t worry, there are still plenty of things you can do with it. Note: your free account will only last a few days. Eventually, you’ll have to decide whether to purchase the software. Here’s what the interface looks like. XML Sitemaps – Use it to run a check of your site’s XML sitemap to find any duplicates or errors. Follow this up by running a Google search of your site, using “site:rootdomain.” This will show you every page on your site that is indexed in SERPs. Broken Links – Broken links are bad. And while the Screaming Frog scan will uncover these, it doesn’t hurt to cross check using a different tool. This is yet another feature where SEO SiteCheckup really shines. Backlinks Checker – It’s very important to not only see how many backlinks your site is getting, but from which sources. If the referencing sites have a domain authority under the 30 mark, you might want to look elsewhere. If you haven’t set up Google Search Console on your site, stop everything and get it done. 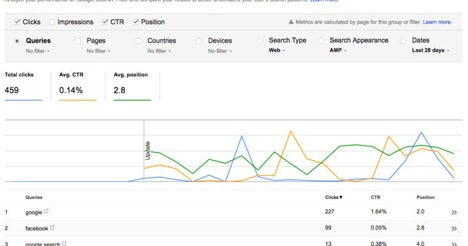 Search Console is an SEO’s best friend, providing invaluable information about the keywords users are typing in to find your site, and the user’s behavior once on your site. It also shows tons more useful data like clicks, impressions, and CTRs. This will give you a good indication about which pages are receiving the most traffic as well as what search phrases users are typing in to find them. The latter is really important as you can use this to inform your keyword research when you go to optimize your site later. By now, your Screaming Frog crawl should be winding down and you’ll be receiving some actionable results for your site. As we wind down to the home stretch, let’s take a peek at the quality of our backlinks. Using a tool like Ahrefs, which is actually free for what we need, check that your site has high authority links running to it. What are high authority links? These are links from sites with high domain authority, which basically means they are very credible sources in Google’s eyes. Popular news sites and e-magazines would qualify as places where you can receive high authority links. If you’re wondering about whether a site has high authority, you can find out by using the Moz Toolbar. At the top of any page it will tell you the page authority and domain authority of the overall site. Using a tool like SEMRush, or the aforementioned SEOProfiler, do some competitor analysis. What backlinks do they have? What keywords are they ranking the highest for? Most importantly, how does your site compare to these standards? Lastly, check for the amount of reviews you’ve received. If the count is low, start pursuing them from past customers. There’s a Google support article that explains a simple way to get reviews in no time. Using the Facebook Debugger Tool, check your Open Graph data. This is the information Facebook uses to address your business, and it’s important that it’s all there. On a more fundamental level, check your site’s profile information across all social media channels. Make note of any channels that might seem thin on content or engagement. So our hour should be just about up by now, which means the fun part has begun. It’s time to go in and start making these changes to your site. To reiterate, this is a pretty bare bones SEO audit that isn’t meant to get you to page 1 in a month. It does however provide a summation of the many areas that should be studied. 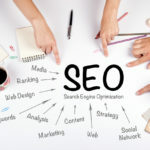 They next time you consider hiring an SEO professional, be sure to articulate exactly what you’re trying to get out of your SEO. From there, you two can communicate a plan that yields results. Michael Peggs is the founder of Marccx Media, a digital marketing agency specializing in SEO and Content Marketing. Before Marcxx, Peggs worked at Google in business development, forming digital media and advertising partnerships. He is also a blogger and podcaster, hosting the iTunes Top 10 New & Noteworthy Podcast You University. ?